We are the thru-axle solution experts. Use our Fitment Selector to find the axle for your bike. 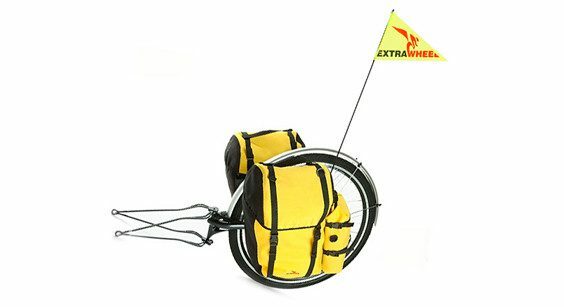 If you are one who doesn’t like to follow the crowd with more traditional trailers, you might use an Extrawheel, Surly Bill and Ted or other yoke mounted cargo trailer to haul your stuff by bike. If you are the DIY type, you might construct your own custom cargo trailer to suit your needs. Our 12 mm Yoke Mount Axles provide M10x1 metric threaded studs on both sides of the axle to adapt to your trailer. 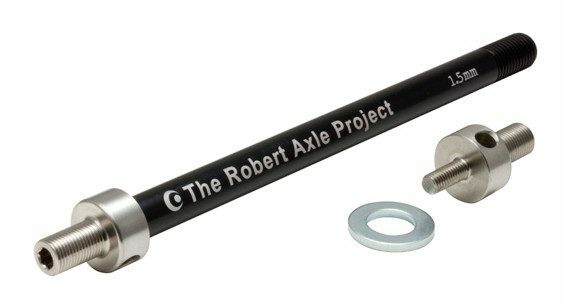 Simply use our Fitment Selector to find the Robert Axle designed for your bike. 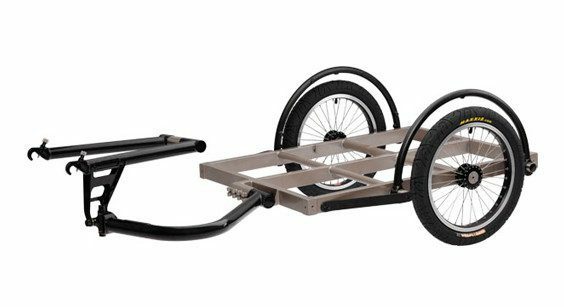 Attach the yoke mount trailer that suits your needs and fits your adventures. If you have a BOB Trailer, please purchase an axle specific to a BOB Trailer. Questions on attaching your less common or custom trailer? Contact us.